1. 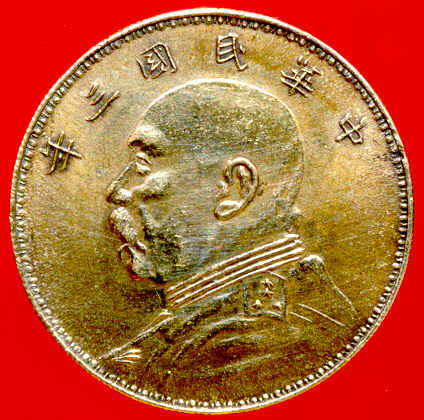 Yuan Shih Kai Gold-Silver Fantasy coin. 2. 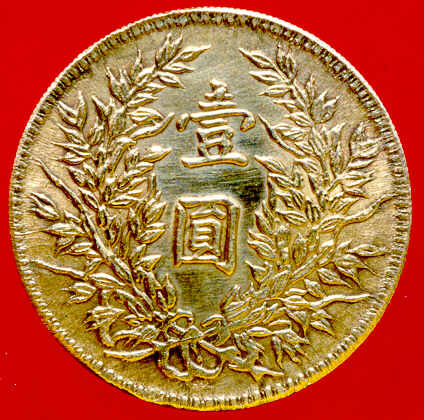 1-Dollar Yunnan Silver coin. 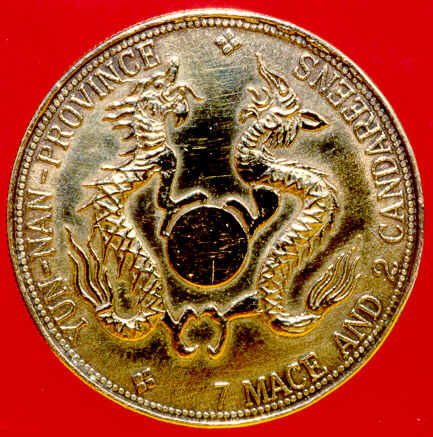 Reverse: Two dragons with ball in the center. Two English inscriptions - Yun-nan province and 7 mace and 2 candareens. 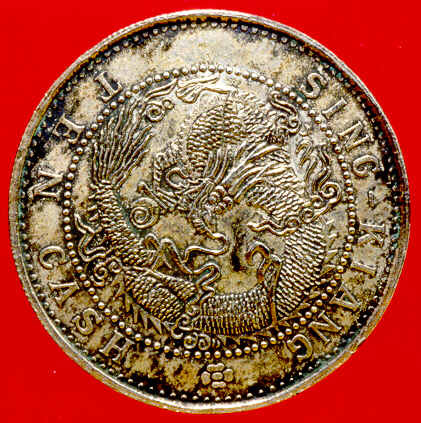 Obverse is standard for Yunnan silver dollar but reverse is unlisted. 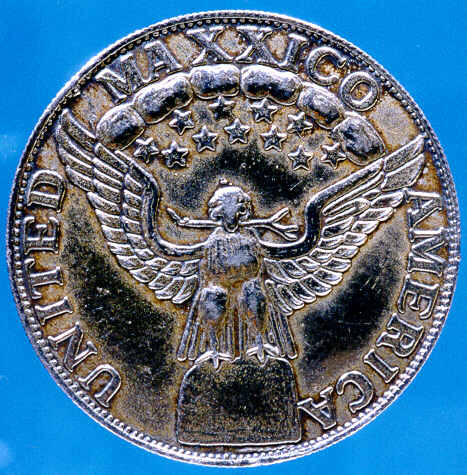 Please compare strange second character Nan at the top of obverse (without left vertical stroke) with . 3. 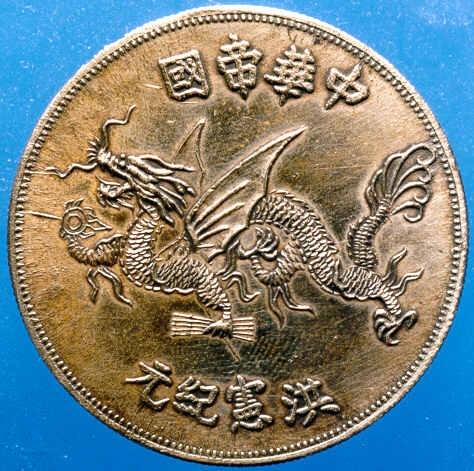 1-Dollar Kiangnan Dragon Silver coin. 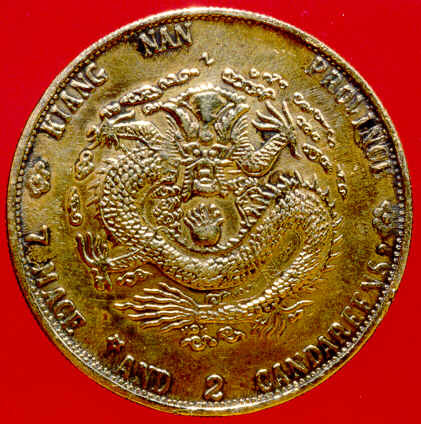 Obverse: In the center standard legend Guang Hsu Yuan Pao, top Made in Kiangnan, bottom 7 mace and 2 candareens, on the sides initials HAH and CH and Chinese date 1904. 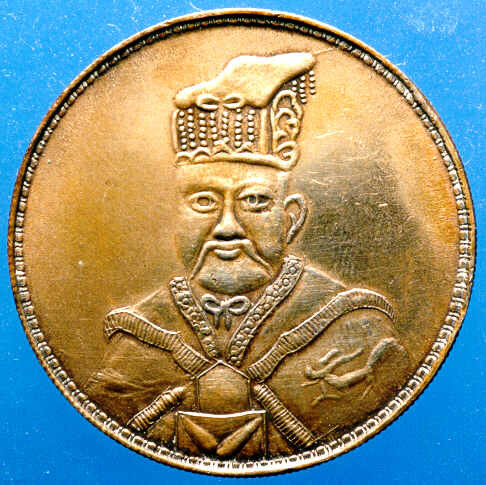 Without 4 central Manchu characters. 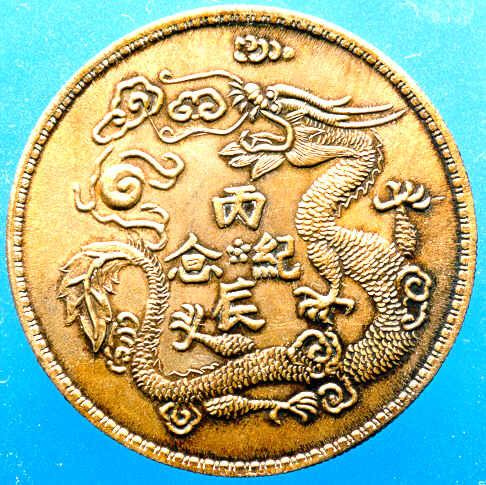 Reverse: Dragon with flame perl in the center. 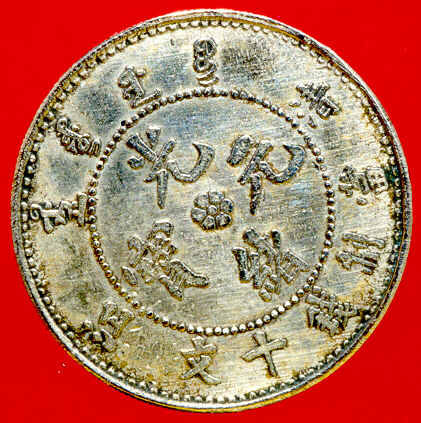 Two English inscriptions - Yun-nan province and 7 mace and 2 candareens. 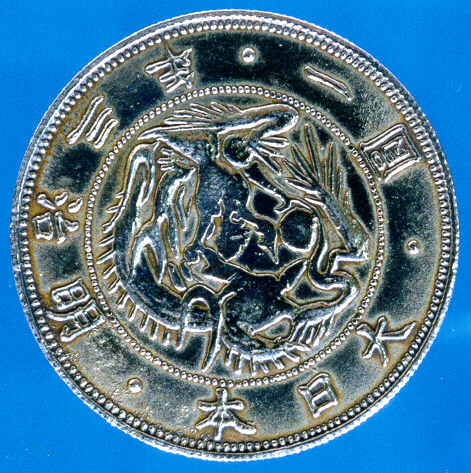 Obverse is standard for Yunnan silver dollar but reverse is unlisted. 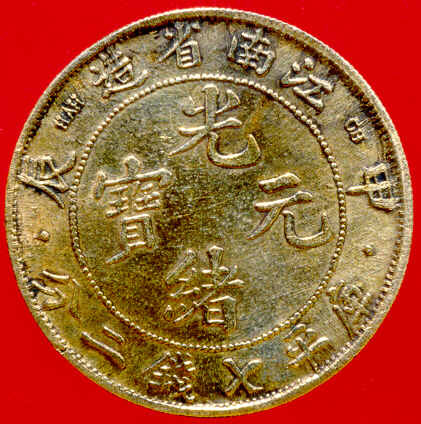 Please compare strange left character Bao at the center of obverse (without bottom right stroke) with . Coin listed in the KM but without valuation. 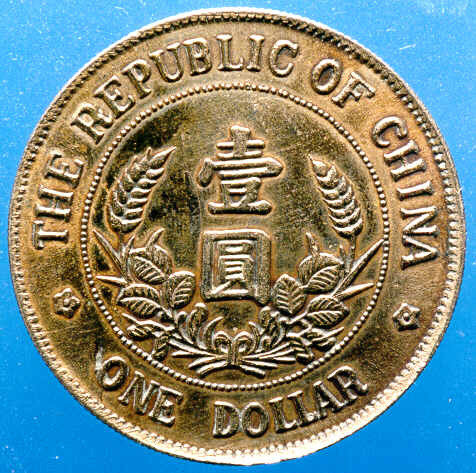 Variation without 4 central Manchu characters at the obverse is not listed in the K.
4. 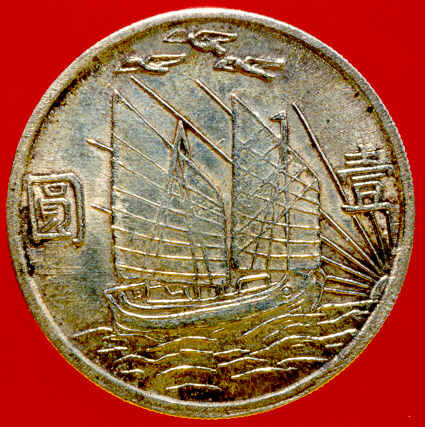 1-Dollar Yuan Shih Kai Silver coin was prepared for the elevation of Yuan Shih Kai to the rank of emperor, a project which miscarried. He was to assume the dynastic title of Hung Hsien. 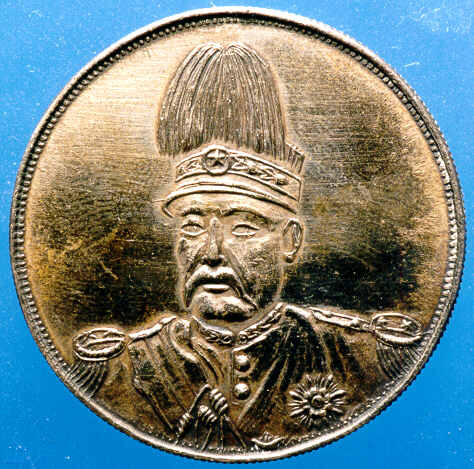 Obverse: portrait of Yuan Shi Kai in military uniform with high feather-hat. 5. 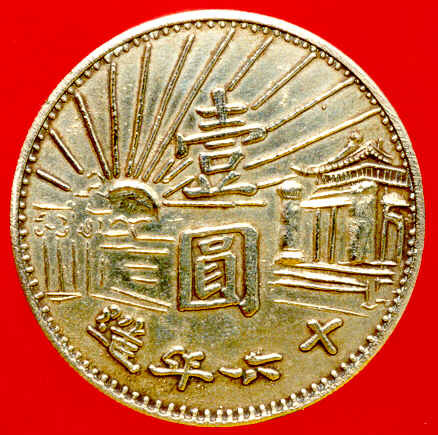 Japanese 1 Yen Silver coin. 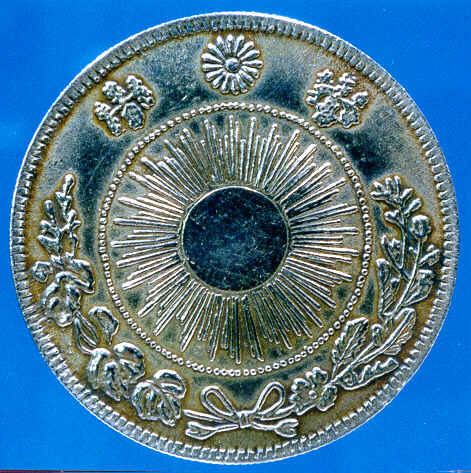 Reverse: Sun in the center, pavlovnia flowers, sun near outer rim. Small detailes are absent; may be fake. 6. 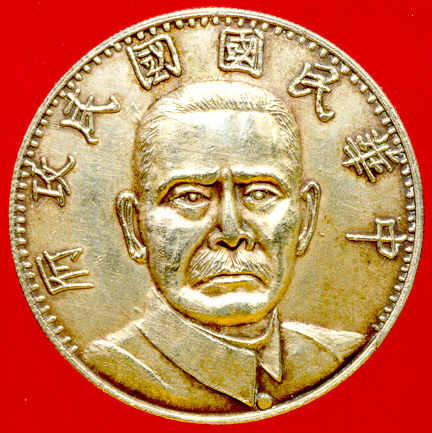 1-Dollar Sun Yat Sen Silver Republican coin. 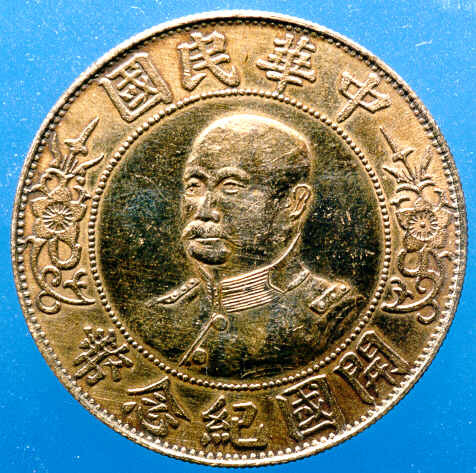 Obverse: Yuan Shi Kai profile to the left. 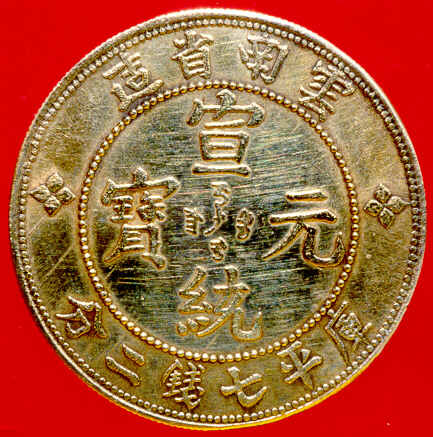 Above date in Chinese. 11. 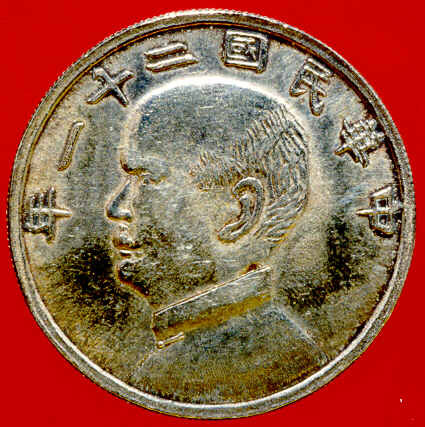 1-Dollar Sun Yat Sen Standard Silver coin. Reverse: Sailing jank at sea. Above 3 flying geese. Right and left two Chinese characters, meaning One Yuan. 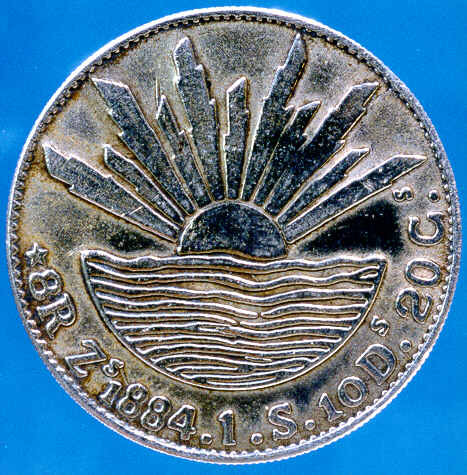 On lower right the rising sun.